Fancy being the gardaí's second-in-command? The job comes with a nice salary too. AN GARDA SÍOCHÁNA is seeking applications for the roles of two deputy Garda commissioners. The two positions are deputy commissioner of operations and deputy commissioner of strategy and change management. They are currently filled on an acting basis by John Twomey and Donal O’Cualain. The jobs have an annual salary of €147,245. 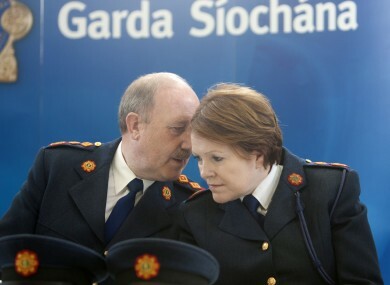 The advertisement state that the Garda Commissioner will determine the precise duties and responsibilities of each post. An Garda Síochána is expecting to receive applications from both within and outside the force. “The persons appointed as Deputy Commissioner of An Garda Síochána will be inspirational leaders and will be in a position to immediately take up duty in these challenging positions. They will be persons of utmost integrity with the experience and stature to quickly gain respect and the confidence within the organisation through their personal impact, leadership and communications skills. An appreciation of the role of An Garda Síochána in protecting the security of the State, including against threats from terrorism, espionage and sabotage, and from activities intended to subvert or undermine parliamentary democracy or the institutions of the State, and a clear capacity to provide leadership in that role free from compromise or potential conflict of interest. The positions are being filled by open competition for the first time, after Nóirín O’Sullivan became the Garda Commissioner in the same way last November. Until now the appointments were made by the Government. Martin Callinan retired from the role of Commissioner in March 2014, following criticism of how he handled allegations made by whistleblowers. At a Public Accounts Committee hearing in January last year he described the actions of Sergeant Maurice McCabe and retired Garda John Wilson as “disgusting”. The closing date for applications is Thursday, 19 February. Profile: Who is the new Commissioner of An Garda Síochána? Email “Fancy being the gardaí's second-in-command?”. Feedback on “Fancy being the gardaí's second-in-command?”.